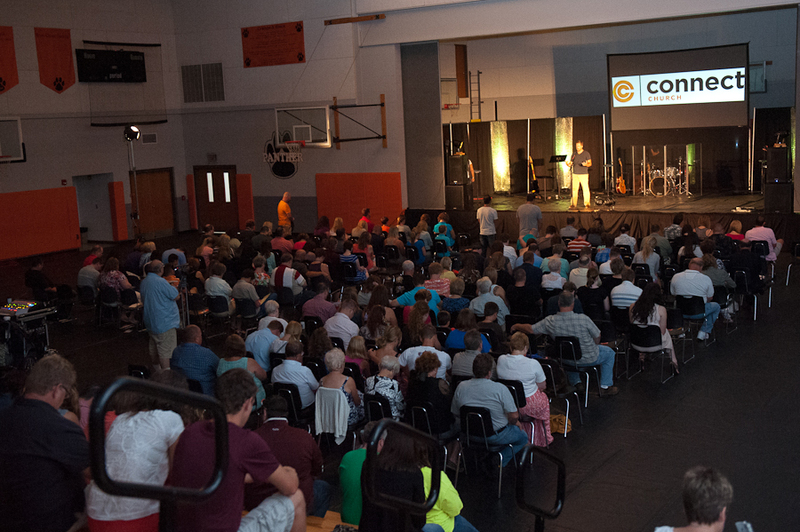 On September 8th, 2013, Connect Church launched in Washington IL. This last Sunday, February 23rd, we had our very first baptismal service. I have not been to church since I was about 10 years old. My daughter asked me this week "mommy can we start going to church so we can learn about God and Jesus?" I have always felt like my children were missing out on something but I truly never knew where to start to find a church. I received a postcard invite in the mail this week for Connect Church. I went to your website and read about your beliefs and mission. I listened to the videos from Val and Jennifer. Val's video touched me with my personal feelings. I shared the kids Connect program with my daughter and we decided we were going to attend this week. I enjoyed the relaxed casual atmosphere and my children enjoyed their programs as well. I will be returning next week. Another guy getting baptized was Rodney. He too had never been to church before Connect. He is 40 with a wife and two young boys and they all love coming to Connect. Two weeks before the baptism service my wife and I sat in his living room and led him and his wife in a prayer to ask Jesus to be the Lord of their lives. He told me that night he didn’t think he could get baptized because he doesn’t understand all of the Bible. I told him I’ve been following Jesus for over 25 years and I don’t understand all of the Bible either!! He was tearing up the whole time while waiting to be baptized. He emailed me after thanking us again and sharing how although it has only been a few short months it has been an amazing journey.